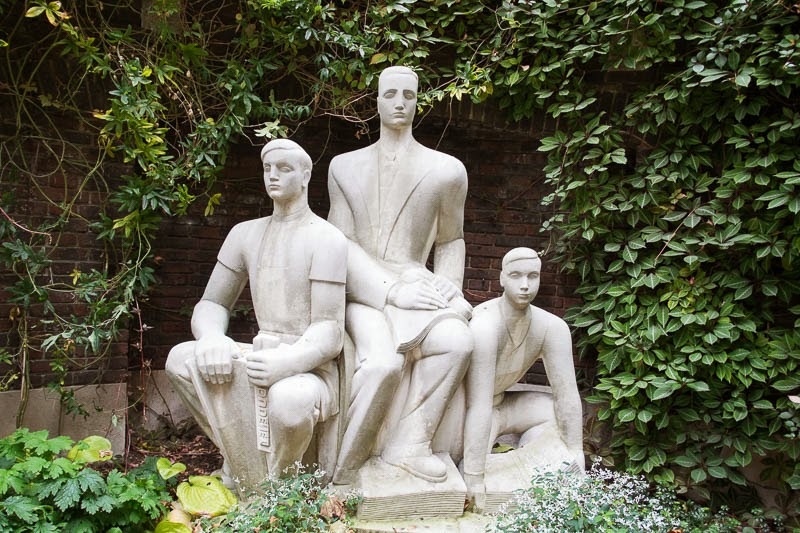 A newsboy, a printer and an editor now sit in the tranquil garden of the goldsmiths guild, it was moved from its original spot at New Street Square in Holborn when that area was redeveloped. The sculpture was created by Wilfred Dudeney (1932-1996), the son of a journalist. The work was commissioned in 1956 and is the only known sculpture representing newspapers. Very nice. I like the modern lines to it. It has quite a modern look to it. I like it. They all look so incredibly neat and tidy; not a quality I'd naturally associate with journos. Interesting. I can't think of any other sculptures about newspapers.